At Topline Farm, we believe in providing great care to all horses and all owners, without charging for every extra time we touch the horse. If a service is necessary to provide top quality care, we provide it without charge. If an extra charge is necessary for extraordinary circumstances, we will always notify you first, unless an emergency situation dictates otherwise for the health of the horse. 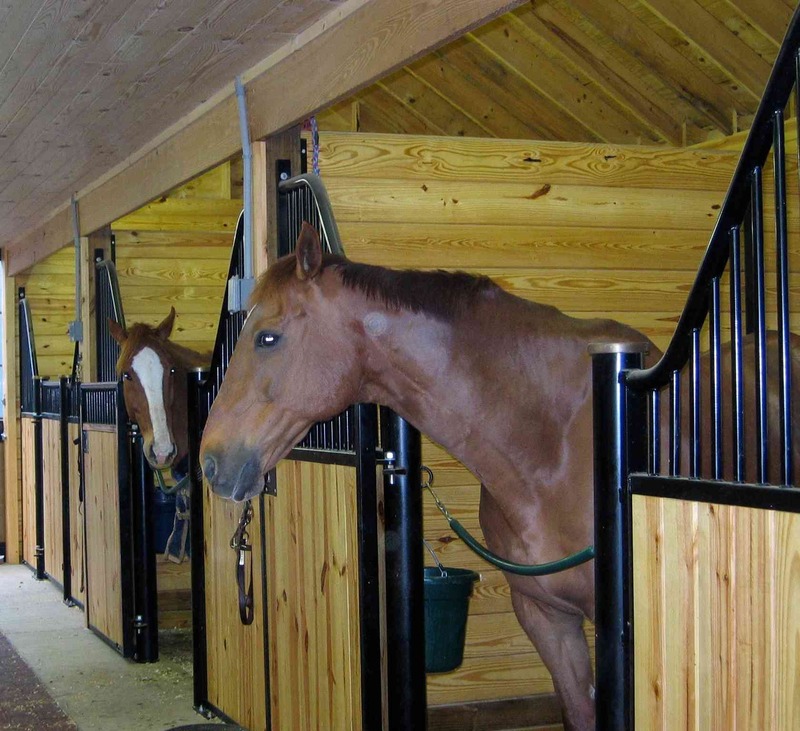 Your horse's stall will be cleaned daily, and will be picked out periodically. We use top-quality shavings, and enough shavings are always provided so your horse is comfortable both standing and lying down in the large rubber-matted stalls. Of course, your horse will be fed top-quality grain and hay on a daily basis. We feed grain twice a day, unless specialized needs require a third feeding. We use primarily Triple Crown products, but other feeds are generally available. High-quality hay is fed throughout the day, depending on the horse's schedule and requirements.